What is a playing card clip? 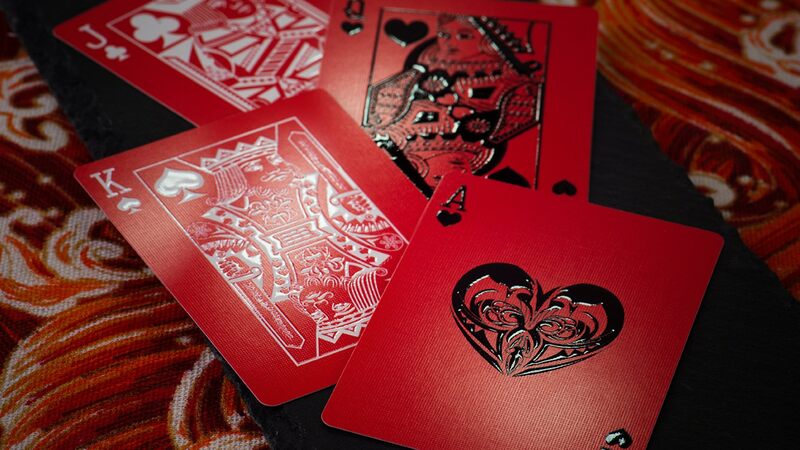 A clip for a deck of playing cards is used to keep a deck of cards from warping or curling which is due to the environment they are in such as humidity. 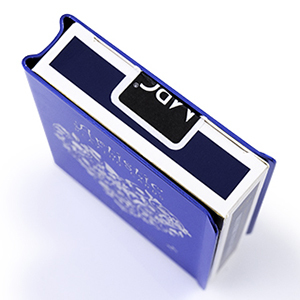 In order to keep them straight and in tip top condition, a card clip (which is known to be first developed by Joe Porper) is used by slotting a standard size deck of poker cards (usually with the tuck box) into it. 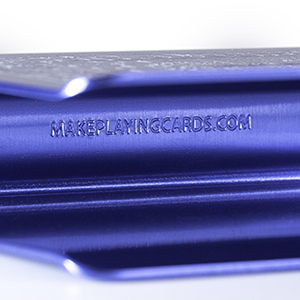 The MPC card clip is a very carefully remastered and engineered product crafted from strong aluminium. 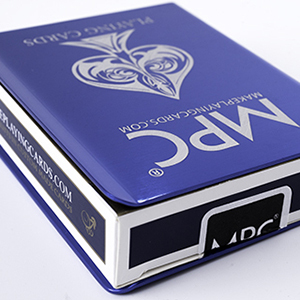 Everything from the refined and smoothed out edges to the perfect flat front and back panels help keep a standard deck of cards newer for longer. 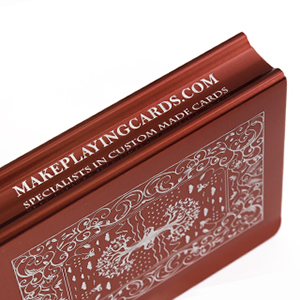 The inside ridge is lightly engraved with our brand MAKEPLAYINGCARDS.COM as a mark of authenticity and quality. 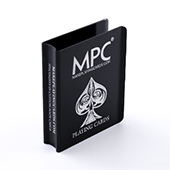 MPC playing card clips can be customized using our bespoke engraving technology which produces pinpoint accuracy for very sharp image outputs. 3 sides can be engraved with your own artwork, the front, the back and the side (ridge). 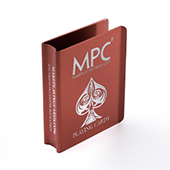 What’s more, there is no minimum order required, another first in the industry brought to you by MPC. Fits deck with max width: 18mm. Custom engraving on outside front, back and side. 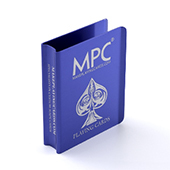 Check out the video below showing our custom card deck clips. How to customize a clip? 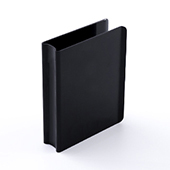 Download and open the card clip template on an image editing program like Adobe Illustrator. Add your artwork design to a layer named "addYourDesign". *IMPORTANT NOTE: Please do not move the position of the box template to ensure your artwork will be printed properly. 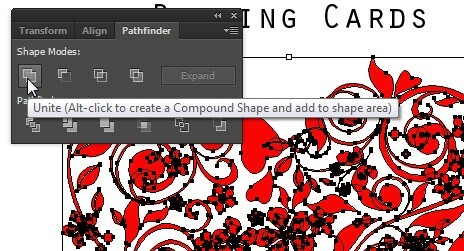 If you have any overlapping objects like the below, please use the "Pathfinder", select the overlapping objects and click on the "Unite" button to combine all object paths into 1 object. Before you send the file back to us, please hide the dieline and instructions layer groups. 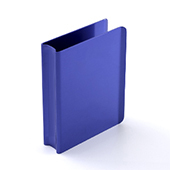 Save your file and send it back to us. If you need any help, please let our customer services know and they will help to further instruct you.